A graceful, all-white egret, which in adult plumage has a black bill and black legs with yellow feet. Immature birds have brownish green legs and pinkish base to lower mandible. 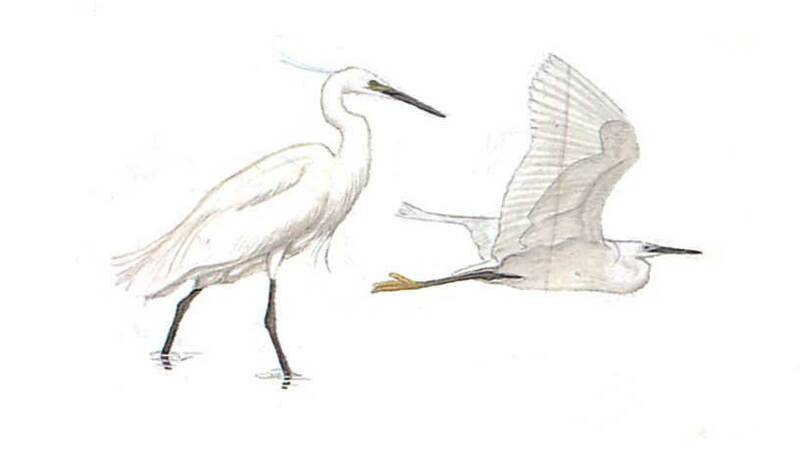 May be confused with white phase of Western Reef Heron. (see that species) Larger than Cattle Egret, also lacks buffish wash to plumage and bill colour different.